America live in Branson is a one night show not to be missed as they take on stage at Andy Williams Moon River Theater on Sunday, October 8, 2017 at 8 pm. This year marks the 47th anniversary of America, one of the most favorite rock bands of the 70s. 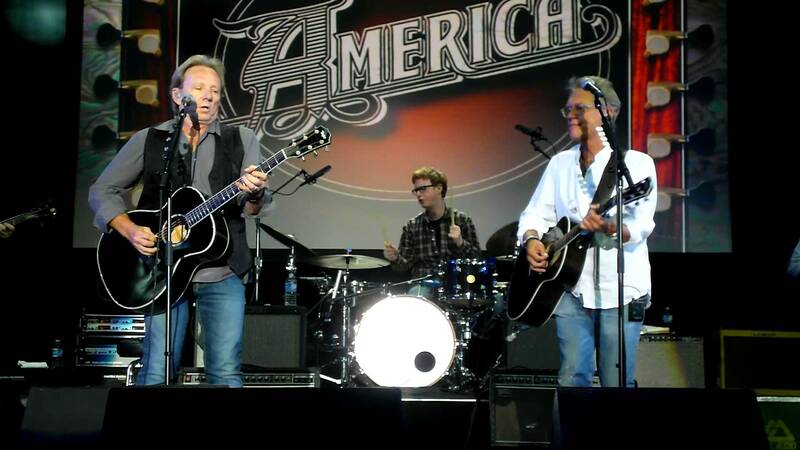 When America’s founding members Gerry Beckley and Dewey Bunnel met in high school in London in the late 1960s, they became acquainted with each other and made their way to the top of the charts with their signature song “A Horse With No Name”. With that song, America became a household name the world over and it was followed by an impressive string of hits after the success of their first #1 hit single. These founding members of America are still making music together for more than four decades and still touring the world and thrilling audiences with their classic rock music. The two have been a part of the band since its inception in the early 1970s. As you watch America live in Branson, you’ll get to enjoy listening to these two talented musicians as they play hits like, “I Need You” and “Sister Golden Hair”. Whether you’re old or young, you are bound to have a fun time listening the music of these music legends. With a combination of energetic performance and classic rock music, this is a show that you’ll want to get out of your seat and dance the night away. When the band was formed in 1970, it was composed of three members namely Dewey Bunnell, the late Dan Peek, and Gerry Beckley. The trio have made countless hits and achieved worldwide popularity throughout their career. With its acoustic sound, they have captivated audiences that helped them produced several albums. With their fantastic music, they have also been honored and inducted into the Vocal Group Hall of Fame. The band has received awards and accolades that include Grammy Award for Best New Artist at the 15th Annual Grammy Awards and Star on the Hollywood Walk of Fame. The musical journey of America have made them exploring a wide variety of music genre. Their famous songs such as “I Need You,” “Ventura Highway,” “Don’t Cross The River,” “Tin Man,” “Lonely People,” and “Sister Golden Hair” have become the favorites in 1970’s Top 40 and FM rock radio. Their music features unique combination of Dewey Bunnell’s use of folk-jazz elements and Gerry Beckley’s melodic pop rock, and Latin-leaning rhythms and elaborate lyrics of Dan Peek’s more traditional country-rock style of music. With their massive success in their career, America earned their stripes as musical soldiers on the battlefield amidst the craziness and chaos of the 70s. In 1972, the trio won the Grammy for Best New Artist. They then began working with George Martin and Geoff Emerick in 1974. The band went on to record seven albums and several Top Ten hits. If you want to enjoy a night of fantastic music that is sure to transport you back into the 70s, check out America Live in Branson.